A review today of the first work in a new series called a short series called Lustful & Damned. Being what the series is titled, yes, there is a Succubus in the work that is a main character. She’s interesting as is the other main character, the story concept is just as interesting and, as a whole, the work shows a good deal of promise. But the thing is, not enough editing takes what should have been something amazing and removes much from it. Something that should not have happened for the promise given in the work as a whole. or what i expect, and hope, that the series will develop into. Zoe Stratton is already not having the best night when her long-time partner, Carly, bails and leaves her all alone at the Opera. That all changes, however, when she lays eyes on Liza Cecelia; a beautiful and charming violinist. 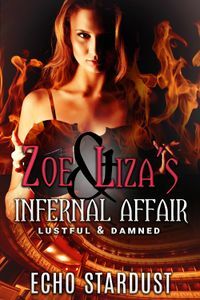 Yet as Zoe decides to indulge in some casual love-play with Liza, she soon realizes that Liza holds a dark, infernal secret. And as Liza transforms before her eyes, Zoe realizes she may have bitten off more than she can chew. Zoe’s been stood up again. Giving up on her lover, she attends the Opera and finds herself captivated by one of the performers. A touch, a word, a moment of longing and Zoe finds herself alone with Liza. Then Liza reveals her truth and Zoe finds herself caught between the world she knows and the desires she feels. Zoe is, as a whole, a complex and interesting character and as her story unfolds the amazing thing is how much emotion is wrapped up within her thoughts and the conversations that she has with herself. There’s a sense that she is truly lost, uncertain and looking for something. That works really well and in being so that drives her towards Liza as the story goes on. Liza, the Succubus of the story, I rather like more in her human form than her “true” one. 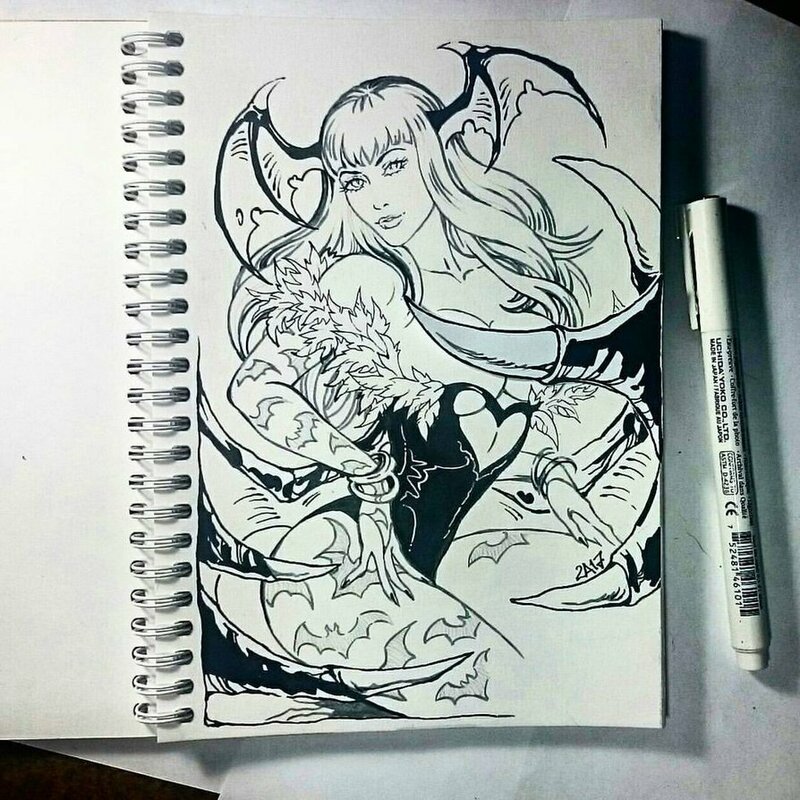 There’s more personality and depth to human Liza than Succubus Liza, for one. While there is some heat in the moments where her Succubus self appears, it really isn’t so much heat as it is the expression of dominance and control which might work for some. I felt that the emotional attachment with Liza’s human form, her character, her flaws, past and revelations, just told the better moments in the work. The sapphic love in the work is touching and wonderful, mixed as it is with Zoe’s inner turmoil, need and desires. How that is told, what Zoe remembers and then what happens when Carly enters the story once more just touches deeply. The work isn’t a hot flash and no story, there is lots of story, lots of character development and that makes this work wonderful. There are questions of course, mainly in the aftermath of what happens when Zoe and Liza are intimate together and it feels like there is another part of the story that hasn’t quite yet come into play here. I hope that when that happens the connections between the three main characters of this story make this all that I hope it can be. For all that’s good and wonderful about this work… the careless mistakes just hurt so very much. There are so many instances where a word is used that should have been picked up in editing wrecked the moment. If that happened once, I could accept that and move on. But it kept happening over and over and over again. In the mist of passion it happened. In the middle of a strikingly powerful moment, a mistake. It just kept happening at the worst possible moment and it really bothered me a lot. The work needs another editing. The story doesn’t need to change, the characters are rich and wonderful. The emotional connection is perfect. But please get rid of all of the mistakes like using “bust” for “busy” and other such mistakes. It really would make this work read better, feel more polished and be more. I easily would have have given four, but I just can’t for how I was thrown out of the story over and over again. I will however be looking for the next work in the series. This is one story that i want to see unfold and the story to be brought towards a satisfying conclusion. That, I hope, will make up for the disappointments in the beginning. And we can hope that the author will give more attention to craft in the subsequent works. It is all part of the craft of writing, without which even the best art falls flat.